A consultant will lead you through retrieving and responding to the diagnostic. For the diagnostic itself, you have 30 minutes. Navigate to this repository in Chrome. The URL should be in slack forum. Click the Fork button in the upper right hand corner of the page. GitHub creates a copy of the repository and redirects the browser. The first cd ~ - change directory - ensures that you start in your home directory/folder. mkdir creates a new directory/folder with the supplied name. If you get an error message that includes File exists when you run mkdir it probably means you've already created the directory and can move on to the following cd. 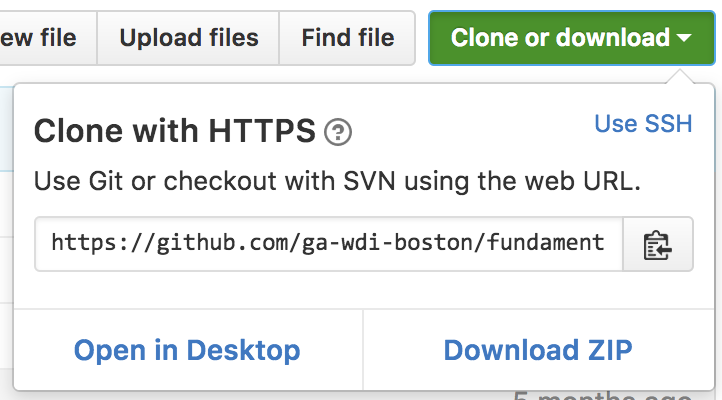 On GitHub, in your copy of the repository, find the clone URL widget - SSH/HTTPS drop-down, corresponding URL text-box, and Copy to clipboard button (centered in the following image). Before copying the clone URL to the clipboard, click the button to select SSH. In Which remote URL should I use? 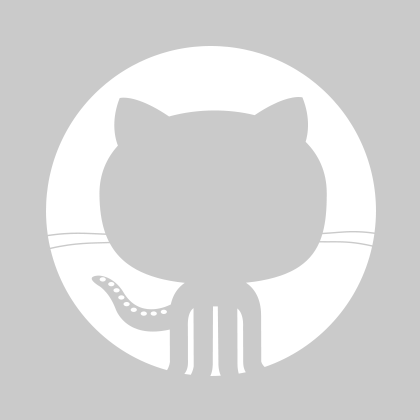 GitHub recommends using https remotes. We will always use ssh remotes during your training. Remember it should say SSH in the drop-down when you do. Create a response branch then open diagnostic.md with atom. You may use ANY resource, other than someone else in the workspace, to help you complete the diagnostic. Rendered markdown may be viewed by following this link. You should delete _Replace this text with your answer._ following each questions and replace it with your answer. Code answers need not be in markdown. Please start to review any linter errors you may see. The error will inform you what the error is and which line and column number the error is located. Linters help us to write clean, symantically correct code so we should start to pay attention to what the errors are telling us. When a 'git commit' is executed, Atom will open a text file containing comment lines (starting with a #) describing the changes being committed. These lines are not included in your commit message. Format for submitting 'git commit' messages. Now, push the changes to your forked repository on Github. We'll follow the GitHub help article, Creating a pull request skipping step 4. Congratulations, you have successfully submitted your first diagnostic by opening a pull request! This is the process we will follow for *every diagnostic. The consultant team will respond to your pull request with feedback on the answers to the diagnostic.